Despite still struggling to establish himself as a regular in the starting line-up, Liverpool striker Daniel Sturridge is reportedly content to remain at Anfield. The 29-year-old has had an injury-plagued few years which has seen him fall down the pecking order on Merseyside, while the form of Roberto Firmino, Mohamed Salah and Sadio Mane has also made it difficult for him to make a lasting impression. That in turn led to a loan stint with West Bromwich Albion last season, and ultimately it had been widely expected that he could seek a permanent exit due to his lack of playing time. However, this season has been different. Sturridge has scored four goals in nine appearances in all competitions, and as Liverpool go for glory both domestically and in Europe, the England international could be a crucial option to score important goals when needed. With that in mind as a balance may well have been struck, The Sun report that Liverpool and Sturridge could perform a dramatic U-turn on his future which would see him sign a contract extension and remain at Anfield for the foreseeable future. 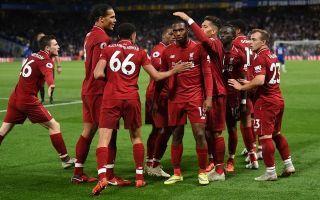 It seems like the sensible thing to do for both parties, as it gives Liverpool reassurance of having quality depth on the bench, while Sturridge could have a prominent role to play in a potential title-winning squad if they can maintain their start to the Premier League campaign. As seen with his goal at Chelsea last month in particular, Sturridge is more than capable of producing a decisive moment with the quality of his finishing, and so signing a new deal and staying at Liverpool will surely be a boost for Jurgen Klopp as he could certainly do with an alternative option in attack.